Has this ever happened to you? Your neighbor is hosting a large, noisy outdoor party that lasts long into the night. Fortunately, a quick telephone call to the authorities should have you sleeping like a baby in no time. When your heating system is on the fritz, it can get loud and unruly, too. Sometimes, it sends out messages loud enough to wake the entire household. So, in addition to being robbed of a warm, comfortable home, you’re also robbed of precious sleep. That’s when it’s time to call in Texas Air Authorities. Whether it’s a heater repair or a replacement, we’re the enforcers who can restore peace and comfort to your home. Whether the evidence of trouble is loud or subtle, it’s important to call in the good guys when your heating system is in need of a repair or replacement service in Grand Prairie, Mansfield, Kennedale and throughout the Arlington, TX, area. Just like local law enforcement authorities know how to handle noise complaints, our technicians have the training, expertise and experience to recognize any problem with your heating system and handle it quickly, professionally and affordably. We’ll restore peace and comfort to your home—no matter what the problem is. 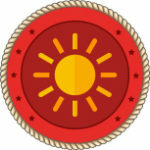 Our team takes an oath to serve and protect your comfort. Plus, we swear to always tell the truth. So we won’t try to talk you into any equipment or residential repair services that aren’t absolutely necessary. If we tell you that your system needs to be replaced, you can rest assured that we’re telling you the truth, the whole truth and nothing but the truth. There’s a reason we’re called Texas Air Authorities. When it comes to all of your residential heater repair service and heating replacement needs, we are the authorities. We’ve been installing, repairing and maintaining heating systems for decades and have the knowledge and experience to get the job done right—every time. Our team understands that household budgets are often stretched to the limit—and sometimes even beyond. 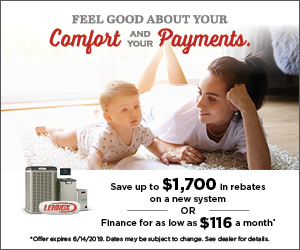 So we’re committed to making sure that you don’t feel like you need to rob a bank to cover heating repairs or any of the superior services and products in Texas Air Authorities’ arsenal. No family should feel handcuffed by budget constraints when the furnace acts up or breaks down. That’s why we offer outstanding coupons and special offers, great financing opportunities and money-saving maintenance agreements. 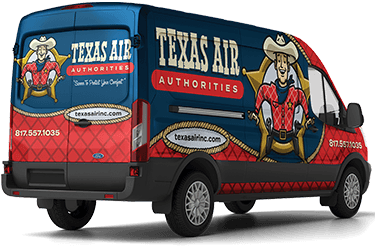 Texas Air Authorities is hot on the trail to solve your comfort problems if you live in Kennedale, Mansfield, Grand Prairie or elsewhere in the Arlington, Texas, area. Our crackerjack team can address all of your HVAC needs, including AC replacement and installation, air conditioning repair, furnace repair, heat pump repair and more. Simply fill out our online form or call us at 817-402-3576.